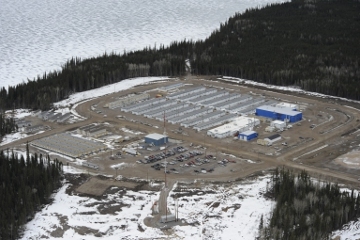 A Market Value estimate of a 700-person temporary work camp located at the Wuskwatim. Generating Station construction site which is approximately 100kms north-west of Thompson, Manitoba. This property consisted of 34 buildings including numerous industrial shops, office buildings, two recreation centers, chapel, fire hall, water plant, dining hall, dormitories, etc.